We ran a national masterplan design competition in 2013 to fulfil PEARL’S vision for our iconic landmark. The brief: To re-imagine Brierfield Mill as a great place to live, work and play. Award winning architects – David Morley Architects – were successful with their visionary masterplan. It included the conversion of the mill buildings into a hotel and apartments, the development of workspace and new leisure facilities, complemented by a new marina for canal boat mooring. 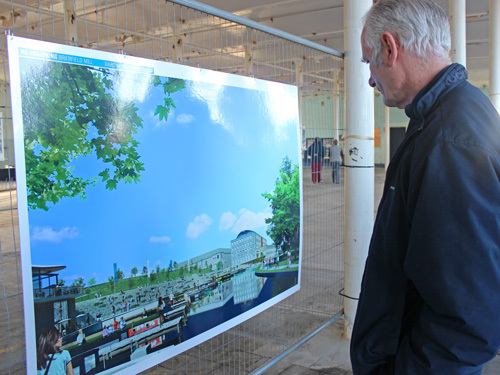 The Masterplan was exhibited at the mill for public viewing and comment in November 2013. The excitement factor is the hotel, leisure & canal marina - a huge challenge! The Masterplan has since evolved for the Brierfield Mill site. It has been refined as prospective end users and investors have been identified and secured. Plans are being drawn up by the Council working in conjunction with LCC, to also improve the connections between Northlight and Brierfield town centre.